Where I got it: Amano sent me some to design with. My Thoughts: This yarn is incredibly draping. 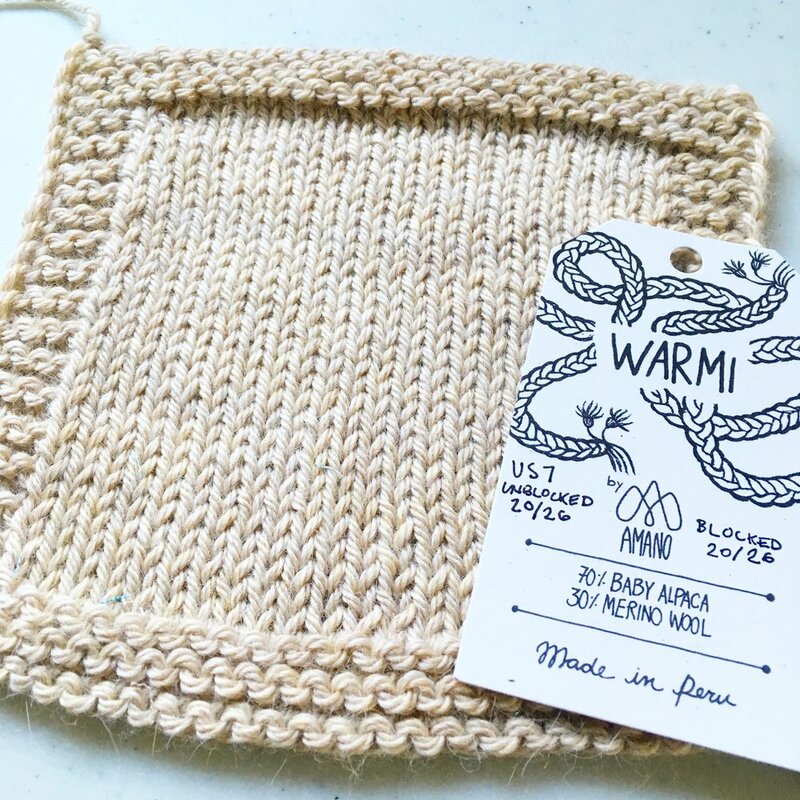 The wool content adds resilience so it doesn't stretch out of shape as much as an all-alpaca yarn would, but it's still very dense with a lot of weight to the fabric. It's soft and supple, and I actually prefer it at a tight gauge - even tighter than this swatch. I've knit it at 22 sts = 4 in/10 cm and the fabric is heavy in a way that feels super luxurious. What I might design with it: I think this one is great for neck accessories with intense stitch definition. 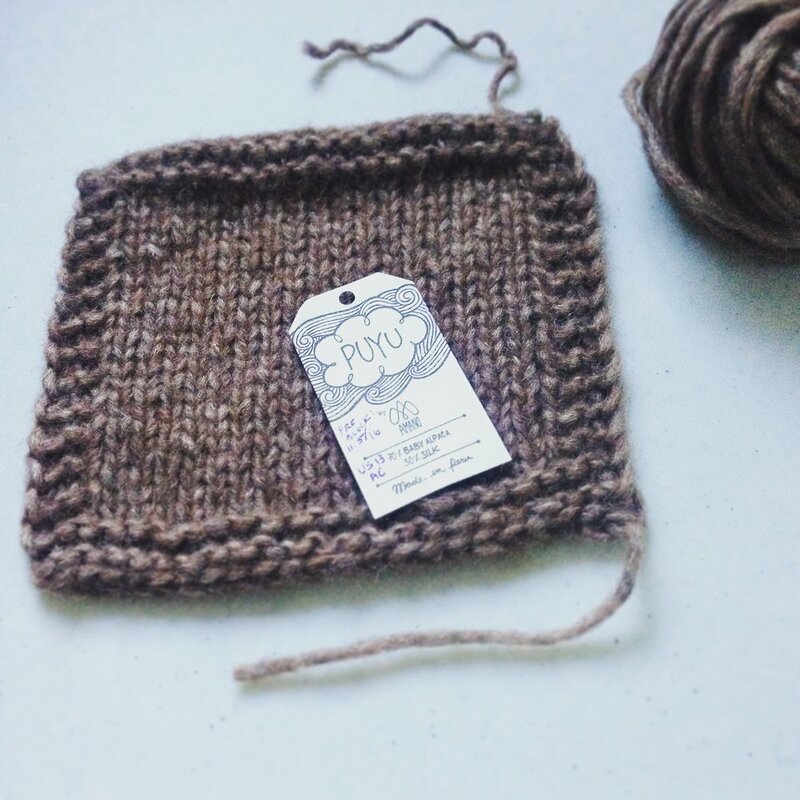 If I was going to knit a sweater out of it, I'd be sure it had some reinforcing factors like seams or a stitch pattern (like cables or colorwork) that would help keep it from stretching out vertically. Where you can get some: Looks like there are a bunch of online and brick-and-mortar buying options.